There’s a ton of advice telling you that you SHOULD use LinkedIn to get New clients for your Recruiting Agency. That’s great advice, but how do you actually do it? This post shows you how to find the companies who are probably hurting right now, because their top talent just left them. 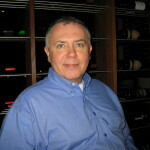 This tip works with a LinkedIn Sales Navigator account. People who moved recently are easily visible on LinkedIn. We will use them as a clue to get to those companies who are hurting because of their absence. 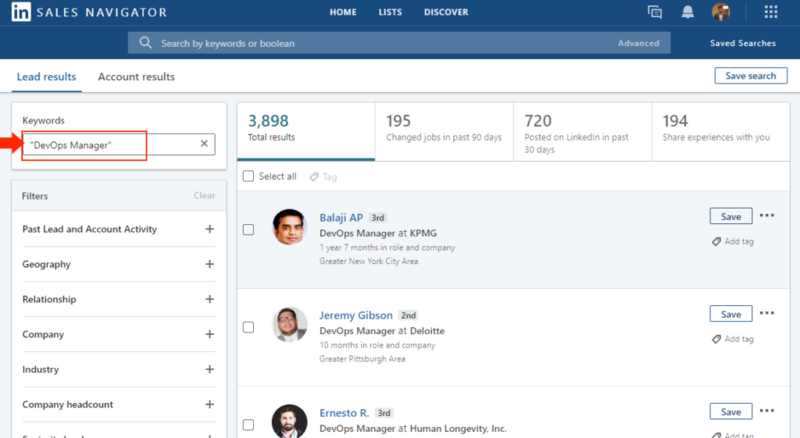 Go to your LinkedIn Sales Navigator and do your normal search which brings up the type of candidates you usually place. 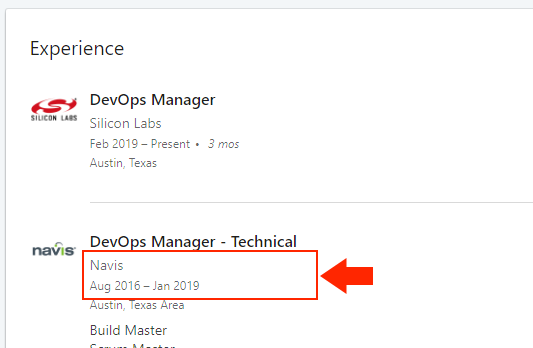 In my case, I am searching for DEVOPS managers. Once the search results come up, click the Tab on top of the results which says “Moved in the last 90 days”. You will get a smaller set of people, but these are gold. Open each profile and look for the company that they moved out from – these are the companies who are hurting right now. These are the companies who are going to hire your recruiting agency now. Write those companies down in a spreadsheet, one below the other – this is important as we need this for the next step. Once you have all those companies down in a spreadsheet, this step is going to show you how to get a single, big list of all their Hiring Managers in one go. 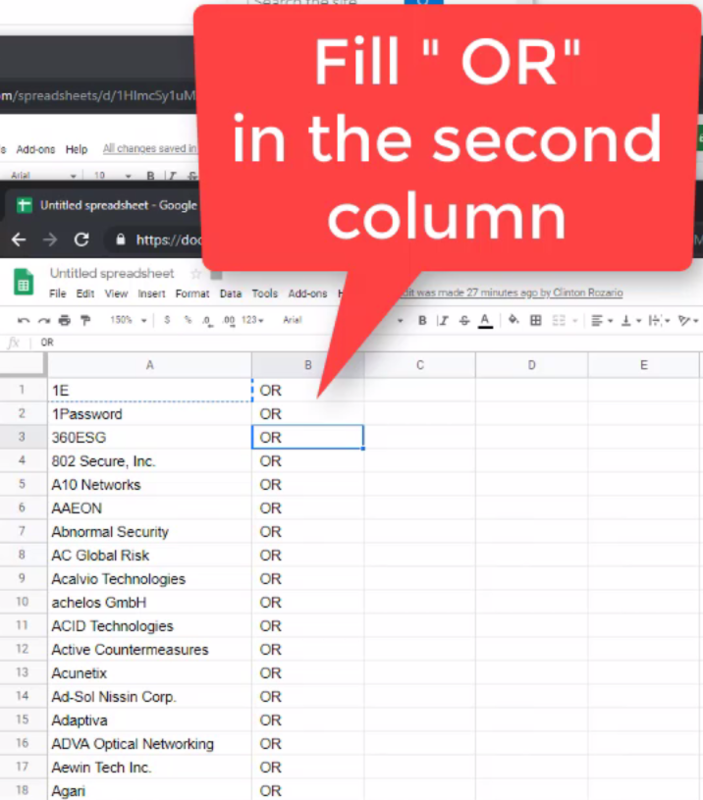 In your spreadsheet, type the word ” OR” in the column to the right of the companies (without the double-quotes). Remember to put a space before the word OR – this is important. 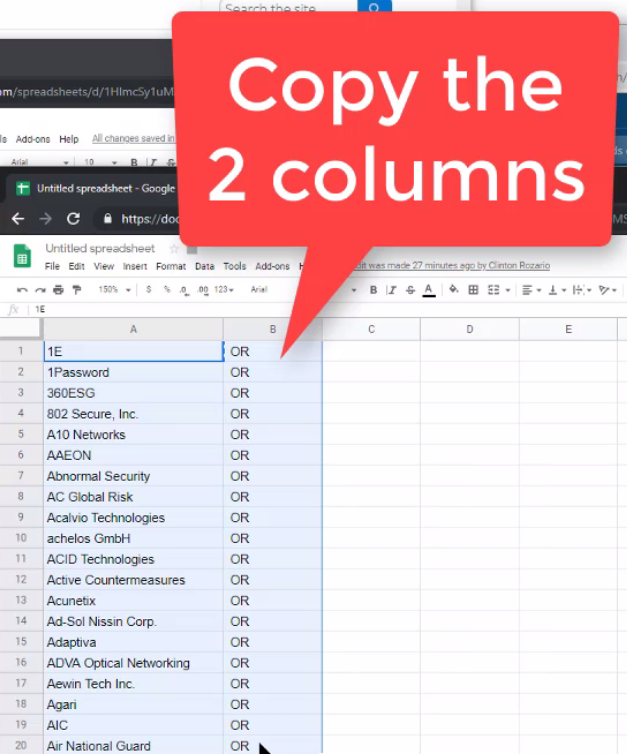 Copy the two columns – the companies and the ” OR” column – using Ctrl+C or the Copy command. 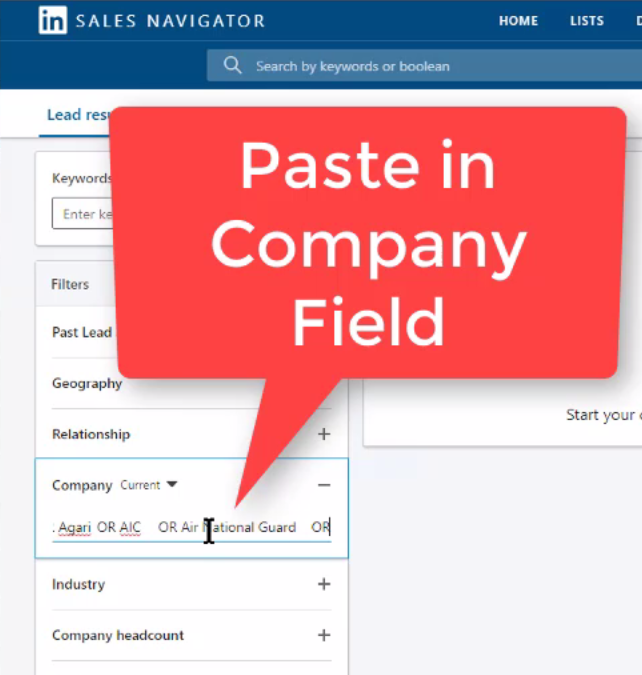 Go to your Sales Navigator, to a new Leads Search and in the “Company” section, you click Paste, or Ctrl+V. You will see all your companies appearing in there, separated with an OR keyword. Hit Return or Enter on your keyboard. Now you have everybody from those companies appearing in your Sales Navigator. 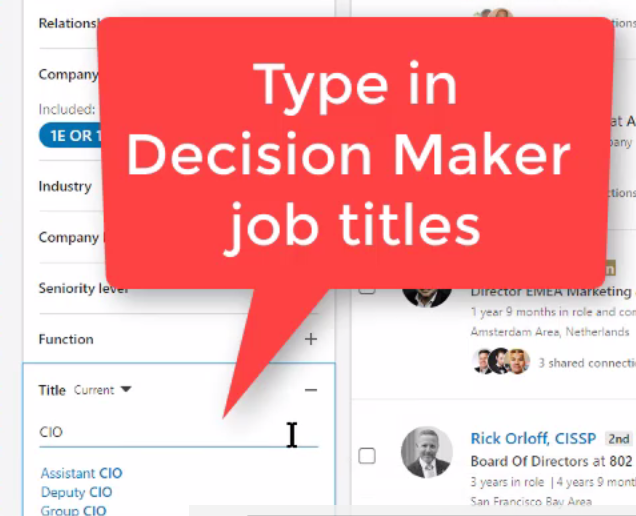 All you have to do next is type in the names of the Decision Makers, or Hiring Managers in the Title field of your Sales Navigator search. Done! You have a list of all your Hiring Managers.. Now to reach out to them. I recently noticed Adam recently left CompanyName. Can I help get you a replacement? Would you like this process automated? 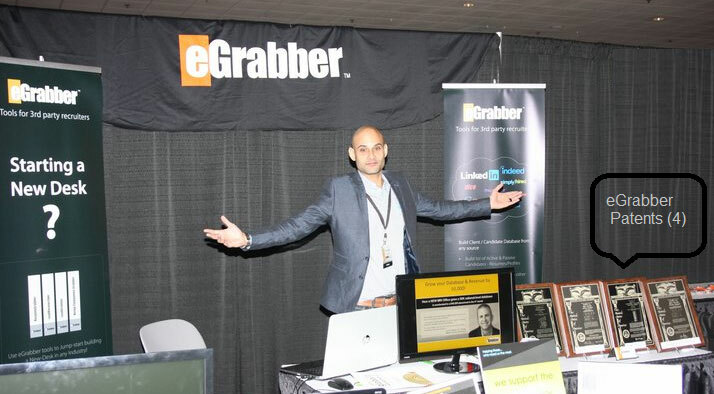 At eGrabber, we have tools which automatically build Client Lists, so that you don’t have to. Give us a call on +1-866-299-7314, we will show you the tool over an online demo, AND build & give you a free sample list of 50 Client contacts, with their business addresses and phone numbers. Else if you like to try the tool yourself, download your FREE Trial Now!